Whenever I peruse the hair forums there always seems to be at least one thread asking about hair type created by a confused, newly natural who wants to know where to begin. She usually wants to know her hair type or curl pattern so that she can go to the appropriate forum and be with women who seemingly share her hair struggles. Whenever I see these threads, I cringe because I absolutely abhor, not hate but abhor, the hair typing system where women are placed into categories based on their curl pattern. Not only is it misleading, but it is also divisive. Simply knowing your hair pattern does not help you to weather the storm that is being a newly natural because there are two far more important factors to consider – hair porosity and density. Porosity is the measure of the hairs ability to absorb moisture. To better understand hair porosity, think of your hair strand as the roof of a house and the outer layer or the cuticle as the shingles on the roof. When the shingles lay completely flat, it's difficult for water to enter or exit the hair shaft – this is low porosity hair. If the shingles are completely raised then moisture will easily enter and escape – this is high porosity hair. In normal porosity hair, the shingles or cuticles are neither completely flat nor raised, but at an optimum angle to allow moisture to enter and remain there. Knowing your hair porosity is far more important than knowing your curl pattern since it will greatly affect your ability to have moisturized healthy looking hair. For those with low hair porosity, it is imperative that you use lighter more liquid based products that will not just sit on top of your hair making it oily or greasy. Also, you will be able to get away with fewer moisturizing sessions to avoid build up. However, with high hair porosity that easily loses moisture, layering on products to retain moisture is a necessity. 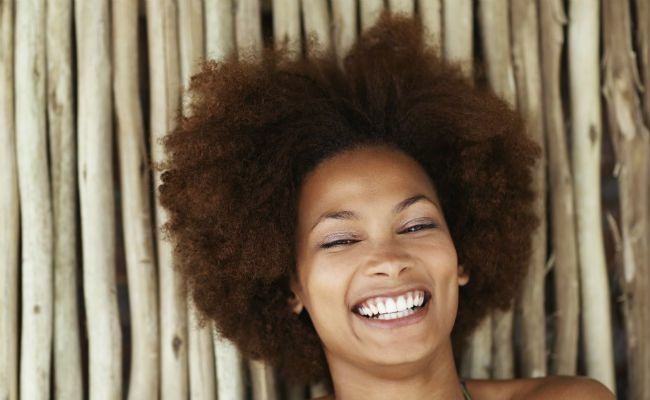 Many high porosity naturals, after washing their hair, apply a leave-in conditioner, then a thick water based moisturizer followed by a heavy butter. By layering your products, you are providing your hair with the moisture it needs from the leave-in and moisturizer, and ensuring that the moisture remains near the hair shaft by using a heavy butter or oil to act as a protective layer to prevent the moisture from being lost to the atmosphere. High porosity naturals may also find it necessary to moisturize often and some high porosity naturals moisturize once or twice daily. 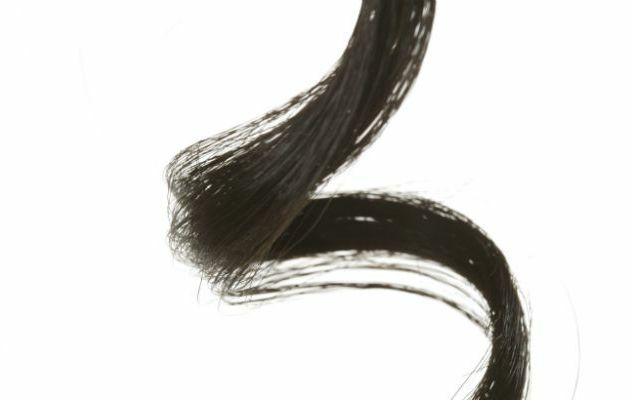 In order to find out what your hair porosity is, take a piece of shed hair from your comb or brush. It's important that you get a shed and not broken hair to test. In order to determine if the hair was broken or shed naturally, examine the ends. If you see a little white ball on one of the ends, it means that it was shed. Take the hair and drop it in a glass of water. If the hair immediately sinks it means that it readily absorbed the water and has high porosity. If the hair remains at the top, floating, it means that it is unable to absorb the water and has low porosity. If it floats to the bottom slowly then it has normal porosity. Medium: the strands are neither too thick nor thin and are strong and elastic. Fine: the strands have a small circumference and width and are therefore delicate and easily damaged. It is important to know your width because it affects your ability to retain length. Curlies with coarse and medium hair width find it easier to retain length since it's harder to damage their hair strands given that they are so strong. It stands to reason that if the hair breaks less then the you will see more hair growth and length retention. 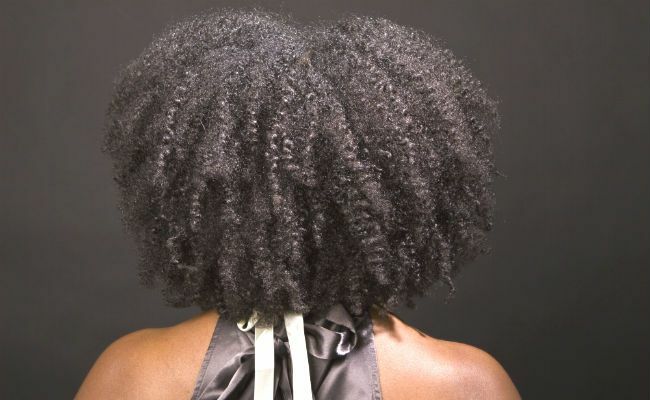 Curlies with fine hair are susceptible to damage and may have to be extra careful to baby their hair to ensure that they do not damage their ends and maintain their length. Determining your hair width is simple. Get a shed hair from your hair brush or comb and hold it up to the light. If it is so thin that it almost appears to not be there, then you have fine hair. If it is very thick and easily visible, then it's coarse. If it's neither fat nor extremely thin, then you fall under medium width. If you are more of a visual creature and need a real life comparison, then look no further than your nether regions. This may be a bit TMI, but the hair "down there" is naturally coarse, so you can pluck one and compare it to the hair on your head. If it is around the same thickness then your hair is coarse. If it is slightly finer then your hair is medium but if it is dramatically thinner then your hair is fine. If you do happen to fall into the fine hair category, have no fear. Your hair is not going to fall out in clumps, and achieving long healthy hair is possible. It will just require a little more work. You will have to ensure that you stay up to date with your deep conditioning sessions. Try to aim at doing one every time you wash your hair to keep it strong. Also, you will need to keep the manipulation of your hair down to a minimum to avoid unnecessary breakage — fewer long elaborate hairstyles, and reducing your use of a comb and brush. Lastly, you could try cassia and henna as a means of naturally thickening the hair strand itself. This article was originally published March 2012.